Vietnam’s Ho Thi Kim Ngan won a gold medal at the World Taekwondo Junior Championship, which is ongoing in Canada. Ngan topped the women’s U44kg category after beating Calderon Maria from Croatia 5-2 in the final match on November 17. Earlier, Ngan beat rivals from Argentina, the Republic of Korea, Chinese Taipei and the Philippines. The 15-year-old scored the best results for Vietnam’s taekwondo team, which had poor performances in recent years at international competitions. “It is the first time Ngan has taken part in the world junior championship, so we just asked her try to be one of top three in her pool. However, she did a perfect job. 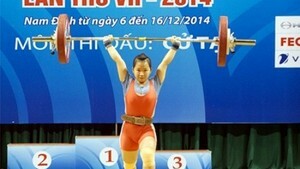 The gold is a wonderful gift for a girl who showed great determination and competitiveness,” said coach Vu Anh Tuan. Ngan, from An Giang Province, has been training in taekwondo for nearly three years. Tuan said she is a perfect height of 1.78m to compete in the martial art. She is also hard-working and smart, with a strong physique and technique. Last year, she won gold medals at the Southeast Asian and Asian championships for cadets and junior athletes. 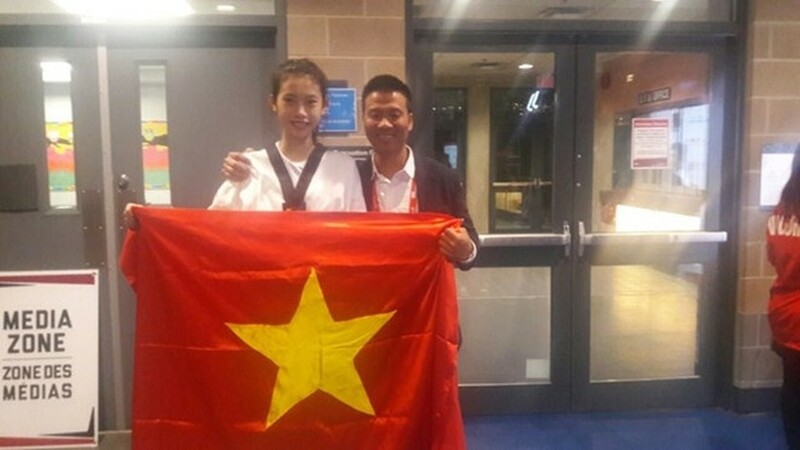 Ngan was also praised by Vietnam Taekwondo Federation General Secretary Vu Xuan Thanh, who said she was confident and performed very well in the Canadian tournament. The November 16-20 tournament attracts more than 1,000 competitors from nearly 100 countries and territories. Vietnam has nine representatives.